Boruto: Naruto Next Generations Episode 103Watch Now! Boruto: Naruto Next Generations Episode 102Watch Now! Boruto: Naruto Next Generations Episode 101Watch Now! Boruto: Naruto Next Generations Episode 100Watch Now! Boruto: Naruto Next Generations Episode 99Watch Now! Boruto: Naruto Next Generations Episode 98Watch Now! Boruto: Naruto Next Generations Episode 97Watch Now! Boruto: Naruto Next Generations Episode 96Watch Now! Boruto: Naruto Next Generations Episode 95Watch Now! Boruto: Naruto Next Generations Episode 94Watch Now! Boruto: Naruto Next Generations Episode 93Watch Now! Boruto: Naruto Next Generations Episode 92Watch Now! Boruto: Naruto Next Generations Episode 91Watch Now! Boruto: Naruto Next Generations Episode 90Watch Now! Boruto: Naruto Next Generations Episode 89Watch Now! Boruto: Naruto Next Generations Episode 88Watch Now! Boruto: Naruto Next Generations Episode 87Watch Now! Boruto: Naruto Next Generations Episode 86Watch Now! Boruto: Naruto Next Generations Episode 85Watch Now! Boruto: Naruto Next Generations Episode 84Watch Now! Boruto: Naruto Next Generations Episode 83Watch Now! Boruto: Naruto Next Generations Episode 82Watch Now! Boruto: Naruto Next Generations Episode 81Watch Now! Boruto: Naruto Next Generations Episode 80Watch Now! Boruto: Naruto Next Generations Episode 79Watch Now! Boruto: Naruto Next Generations Episode 78Watch Now! Boruto: Naruto Next Generations Episode 77Watch Now! Boruto: Naruto Next Generations Episode 76Watch Now! Boruto: Naruto Next Generations Episode 75Watch Now! Boruto: Naruto Next Generations Episode 74Watch Now! Boruto: Naruto Next Generations Episode 73Watch Now! Boruto: Naruto Next Generations Episode 72Watch Now! Boruto: Naruto Next Generations Episode 71Watch Now! Boruto: Naruto Next Generations Episode 70Watch Now! Boruto: Naruto Next Generations Episode 69Watch Now! Boruto: Naruto Next Generations Episode 68Watch Now! Boruto: Naruto Next Generations Episode 67Watch Now! Boruto: Naruto Next Generations Episode 66Watch Now! Boruto: Naruto Next Generations Episode 65Watch Now! Boruto: Naruto Next Generations Episode 64Watch Now! Boruto: Naruto Next Generations Episode 63Watch Now! Boruto: Naruto Next Generations Episode 62Watch Now! Boruto: Naruto Next Generations Episode 61Watch Now! Boruto: Naruto Next Generations Episode 60Watch Now! Boruto: Naruto Next Generations Episode 59Watch Now! Boruto: Naruto Next Generations Episode 58Watch Now! Boruto: Naruto Next Generations Episode 57Watch Now! Boruto: Naruto Next Generations Episode 56Watch Now! Boruto: Naruto Next Generations Episode 55Watch Now! Boruto: Naruto Next Generations Episode 54Watch Now! Boruto: Naruto Next Generations Episode 53Watch Now! Boruto: Naruto Next Generations Episode 52Watch Now! Boruto: Naruto Next Generations Episode 51Watch Now! Boruto: Naruto Next Generations Episode 50Watch Now! Boruto: Naruto Next Generations Episode 49Watch Now! Boruto: Naruto Next Generations Episode 48Watch Now! Boruto: Naruto Next Generations Episode 47Watch Now! Boruto: Naruto Next Generations Episode 46Watch Now! Boruto: Naruto Next Generations Episode 45Watch Now! Boruto: Naruto Next Generations Episode 44Watch Now! Boruto: Naruto Next Generations Episode 43Watch Now! Boruto: Naruto Next Generations Episode 42Watch Now! 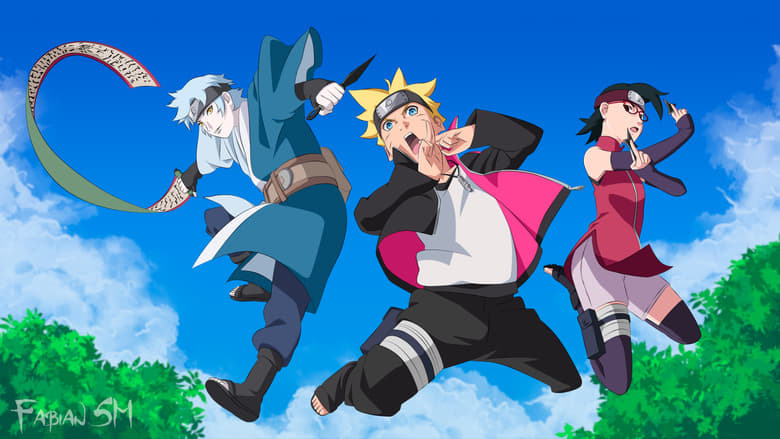 Boruto: Naruto Next Generations Episode 41Watch Now! Boruto: Naruto Next Generations Episode 40Watch Now! Boruto: Naruto Next Generations Episode 39Watch Now! Boruto: Naruto Next Generations Episode 38Watch Now! Boruto: Naruto Next Generations Episode 37Watch Now! Boruto: Naruto Next Generations Episode 36Watch Now! Boruto: Naruto Next Generations Episode 35Watch Now! Boruto: Naruto Next Generations Episode 34Watch Now! Boruto: Naruto Next Generations Episode 33Watch Now! Boruto: Naruto Next Generations Episode 32Watch Now! Boruto: Naruto Next Generations Episode 31Watch Now! Boruto: Naruto Next Generations Episode 30Watch Now! Boruto: Naruto Next Generations Episode 29Watch Now! Boruto: Naruto Next Generations Episode 28Watch Now! Boruto: Naruto Next Generations Episode 27Watch Now! Boruto: Naruto Next Generations Episode 26Watch Now! Boruto: Naruto Next Generations Episode 25Watch Now! Boruto: Naruto Next Generations Episode 24Watch Now! Boruto: Naruto Next Generations Episode 23Watch Now! Boruto: Naruto Next Generations Episode 22Watch Now! Boruto: Naruto Next Generations Episode 21Watch Now! Boruto: Naruto Next Generations Episode 20Watch Now! Boruto: Naruto Next Generations Episode 19Watch Now! Boruto: Naruto Next Generations Episode 18Watch Now! Boruto: Naruto Next Generations Episode 17Watch Now! Boruto: Naruto Next Generations Episode 16Watch Now! Boruto: Naruto Next Generations Episode 15Watch Now! Boruto: Naruto Next Generations Episode 14Watch Now! Boruto: Naruto Next Generations Episode 13Watch Now! Boruto: Naruto Next Generations Episode 12Watch Now! Boruto: Naruto Next Generations Episode 11Watch Now! Boruto: Naruto Next Generations Episode 10Watch Now! Boruto: Naruto Next Generations Episode 9Watch Now! Boruto: Naruto Next Generations Episode 8Watch Now! Boruto: Naruto Next Generations Episode 7Watch Now! Boruto: Naruto Next Generations Episode 6Watch Now! Boruto: Naruto Next Generations Episode 5Watch Now! Boruto: Naruto Next Generations Episode 4Watch Now! Boruto: Naruto Next Generations Episode 3Watch Now! Boruto: Naruto Next Generations Episode 2Watch Now! Boruto: Naruto Next Generations Episode 1Watch Now!